RF Plasma Sources : Manitou Systems Inc. The Delta Glow family of high density RF plasma sources are designed to generate a continuous dense gas plasma for thin film deposition, etching, and material surface modification applications. A combination of proprietary plasma excitation circuitry and simple construction techniques enable the Delta Glow to provide an economical and reliable high-energy down stream plasma process engine. Delta Glow significantly improves the quality of thin films by reducing contaminants and deposited film inclusions. Delta Glow also reduces oxygen contamination that conventional techniques fail to detect and remove. When the Delta Glow high energy plasma source is used to clean a vacuum system, the bombardment of system surfaces with electrons and ions stimulates desorption of water bonded to system surfaces, resulting in a cleaner system with less contamination during subsequent processing. Delta Glow’s rugged construction enables use in most development & industrial environments. All mechanical components are constructed from chemically treated aluminum and stainless steel. RF components are 100% silver-plated for enhanced conductivity, and dielectric parts are manufactured from virgin grade plastics and ceramics. The various models in the Delta Glow family provide the proper plasma processing solution for many traditional as well as boutique applications. The Model EG-50 (image to the right and above) is our lowest cost and most basic (non-resonant) product. It is designed to be used in exploratory and developmental applications where the user provides the dielectric process tube and upstream vacuum sealing plate with process gas introduction. Manitou Systems provides the EG-50, coaxial connection cable and 13.56MHz RF power system. Standard and custom antenna coils are available to complement the user’s process tube diameter and substrate size. 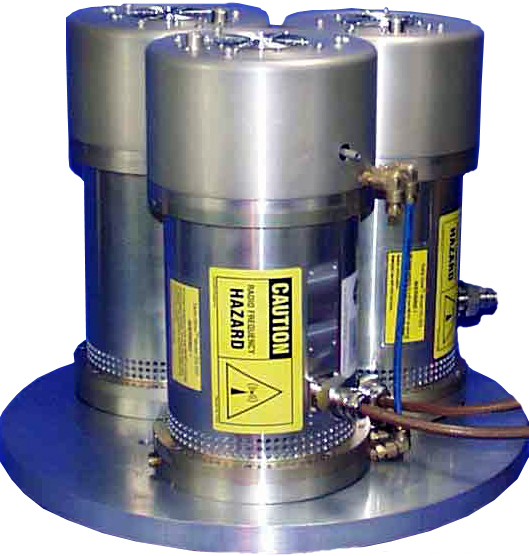 Our Model DG-80 is the smallest size RF plasma source and originally developed to provide point of delivery process gas cracking and re-combination. Operating at a frequency of 80 MHz (VHF) it’s resonant RF operating mode produces a dense plasma discharge with easy ignition and pulsing capability at low RF power levels. The internal 20mm diameter process tube can be extended into the plasma processing chamber for enhanced plasma species directivity. Specialized versions of the DG-80 have been delivered for use at 13.56MHz (in a non-resonant mode) for ALD deposition processes. Additional applications include: cleaning and pre-conditioning of vacuum chambers and load locks. The Model DG300 is our mid-sized resonant RF model used to complement larger chamber volumes. The DG300 supports process applications such as PECVD, thin film carbon deposition and, surface treatment/enhancements of medical device components (catheter tubes) and pass trough processing of powders. It can be used individually or in linear/annular clusters to provide large area processing capability. The Model DG600 the largest unit available and is custom designed to a user specification. It is used in research/development applications where an entire sample may be placed directly into the 600mm diameter quartz process zone. 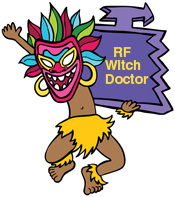 An external RF shield contains stray RF radiation while providing optical access to monitor the experiment. Type KF flanges enable the user to add an array of vacuum pumping, upstream gas introduction and instrumentation points. The Delta Glow Integrated Model DGI is our latest addition to the family. This is a complete (non-resonant type) plasma source module including a 600 watt 13.56MHz RF power generator, manually adjustable impedance matching network + an ICP type plasma reactor tube. Designed to be installed directly on the process chamber, this plasma source can be configured for either upstream or downstream processes. All process controls are remote capable through the use of the analog I/O port and/or remote control panel. The DG80, DG300 and, DG600 are available with optional Energy++ power supplies and hardware. This optional hardware enables controllable upstream, downstream and substrate bias voltages to be applied for the purpose of directing the energetic ion flow and bombardment for your specific process. Manitou Systems will work with the user to define an application specific RF plasma source. This custom design will combine standard Manitou sub-systems and components in a single enclosure. We will first integrate the process tube, vacuum sealing structure and enclosure onto a rugged base plate. A choice of industry standard vacuum fittings as well as custom flanges can be used to connect it to the vacuum chamber. Based on the customer specification, this design can include additional modules such as an impedance matching network and complete RF power generator. Our designs will easily accommodate many different mounting choices. Specialized bracketing and mounting points enable the finished unit to become an integrated part of the user’s system. Manitou will optimize it’s design around process tube materials such as quartz and alumina. Our proprietary vacuum sealing technology will accommodate standard elastomers like Viton in addition to advanced sealing materials such as Chemrez & Kalrez. Product reliability and a high MTBF rating are accomplished by utilizing both forced air and water to cool critical heat generating components. Typical designs use water to maintain the lowest possible temperature around o-ring seals and power conversion semiconductors. Chemically treated aluminum sheet and machined parts are used in the construction of the enclosure insuring proper RF conductivity and shielding. The Delta Glow system is furnished with its own RF power delivery system including a choice of matching networks and RF power generators. Our multi-featured RF systems include process power ramping, RF ON timer and continuous or pulsed output waveforms. A fully automatic or manually adjusted impedance matching network may be used to complete the RF power delivery system. The Delta Glow plasma source is housed in a single, compact enclosure typically designed to be mounted to the vacuum process chamber. In some applications, the Delta Glow is used as a pass through plasma source and it actually becomes the process chamber. Vacuum chamber interfacing is accomplished through an industry standard KF-50 vacuum flange or a custom interface plate. Process gas enters the reactor tube via a VCR fitting. The plasma source comes standard with a quartz reactor tube and Viton™ O-ring seals. however, aggressive fluorine-based processes may require the use of an optional alumina reactor tube and Calrez™ seals.